I have not finished Suikoden 4 yet--I believe I am towards the end of the game though, seeing that I already have more than 90 stars recruited. However, I am sure it would be worth writing an impression when I don't know the end yet--my impression would likely change after I finish the game and I probably won't be able to have the same impression again. So here goes nothing. Suikoden 4 follows closely with the Shui Hu Zhuan formula, where the main character initially faces a downfall, and then gradually builds up his force to fight against a great injustice. Suikoden 3 failed in this regards due to none of the main characters going through much of any personal downfall, nor did they fight against any particular injustice (even Luc didn't have a selfish motive). For this reason, it would be safe to say that Suikoden 4 returns to its tried and tested roots we have accustomed to ourselves in Suikoden 1 and Suikoden 2. However, does it have a "Suikoden Feel"? Not entirely--although Suikoden 4 has similar plot elements, it does not carry the "suikoden ambience." This ambience can only be expressed in the abstract, but it is a feeling of uplifting warmth and hope. So far, this feeling has been absent in Suikoden 4. I'm not saying that's a bad thing, but it is missed. In previous Suikoden's the player was usually able to feel some elation after a particularly difficult battle was one, or after a significant event. However, none of the events seem quite as difficult, nor do they feel significant--even when it should be significant. This is probably a problem with the screenplay of the game itself more than anything. Instead, the permeating ambience in Suikoden 4, so far (and I emphasize that because I have not finished the game yet) is that of a detached, birds-eye view of cold, hard, and inorganic reality. Some people may like this better, some people may not, but this is what I feel, for now. The events that happen are all short compared to lengthier dialogue we have seen in Suikoden 2 or 3. This seems to be an effort to reduce the amount of voice added into the game. If that is the case, it is unfortunate--it reduces the chance for the players to learn more about the characters. Now that I said many negative-sounding things, let me talk about some positive things. First of all, there are a crap-load of mini-games and sub-features. Some of the mini-games are iffy, some are very addictive (like the mah-jongg game, Ritapon), and some are downright wacky. This is a HUGE improvement over Suikoden 3, even through Suikoden 4 does not have a cook-off or a theatre (I'm tired of telling people those features aren't coming back, and we knew that since last September). The new add-ons, such as the confession room and the training room, are very entertaining as well. I am sure a lot of people will enjoy those features. The battle system has been simplified, moreso than it was back in Suikoden 1 and 2. The battle is basically done in Suikoden 1 and 2 style, but you have only 4 characters in battle, and there are no front/back rows. Also, there are far less runes than there were in previous games, especially character-specific runes. This may be a let-down to some. Generally speaking, the amount of power your weapon has is of greater importance in Suikoden 4 than in previous games--they must have changed the formula somehow. The damage inflation is not as severe as in previous Suikodens as well--you generally seem to do less damage. However, enemies tend to be strong. It is very rare to be able to take down an enemy with one attack. Rune affinities seem to exist, but are not visible. I have seen two characters with similar MAG do vastly different damage using the same spell. Also, although many Japanese fans seem to have trouble with the encounter rate, this isn't that severe. I probably averaged about 10 enemy encounters every time I made a voyage from one town to another. One thing that I found very strange is the random enemy encounters you have inside villages. It's sort of strange if you think about it--there are shops and people walking around, while you're fighting monsters. Last but not least, battles are very fast. If you are stronger, it may end in merely 3 seconds. This is good. The characters are generally interesting--they have gone back to the roots in terms of making sure you have plenty of shady characters in your army, such as convicts, criminals, pirates, thieves, con artists, assassins, brutes, spies, psychos, and royalty. In fact, Suikoden 4 may have surpassed Suikoden 1 in terms of the amount of morally questionable characters, which is definitely a good thing. Suikoden 3 had too many "good people," and we all know that good people are boring. They also have retained the comment box, and the addition of the confession room compensates for the lack of a private detective, which was a staple since Suikoden 2. Furthermore, the newspaper sheds additional light to some characters. On the negative side, most of the characters that join seem to have weak reasons for joining your army, but this is more related to problems with the plot as I stated above. Purely from a design perspective, the characters are generally likeable--even the ugly ones. 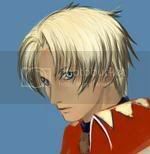 Last thing about characters--Snowe would probably be one of the most unique characters throughout not only Suikoden history, but throughout the history of console RPGs. I don't think I have ever seen a character that goes through his kind of development. Players can look forward to this. I'm not a good judge of music, so I won't dwell much on the music, but one thing for sure is that the battle music is a HUGE improvement over Suikoden 3's battle music which sounded more like a silly rendition of Armenian composer Kachaturian's "Sabre Dance." Also, La Mer (opening music) by Coba is very good, I like the accordion. Otherwise, the music seemed to be very ambient and subdued. Suikoden 3 utilized total silence at certain places, but Suikoden 4 doesn't seem to rely on such lame theatrics. Players who are interested in what Suikoden 4 adds to the Suikoden series as a while, it seems to add a substantial amount of geographical and historical information. There are references to some of the nations we have heard in the past, and I have a feeling more would be revealed as I near the end of the game--we'll see. Cool.....thanks for the preliminary review. I've been anxiously awaiting fan reactions to the game. It sounds like the story is a slight let-down.......that's probably where the Suikoden series misses Murayama the most.....he's a proven story-teller. Thanks allot for the preview! I just wanted to ask one thing though. You mentioned that rune affinities were there, but weren't vissible (like in S2)? Then am I to assume that the skill system from S3 has been totaly done away with? hmmm sounds good. There is a lot of differences in s4 for sure. And while a lot may sound bad i'll just have to play the game. I'll look forward to a non spoiler review when your done the game. "Hearing the CRY of VICTORY, He rests in Peace"
Suikoden 5 didnt make me less of a fan; it restored my faith after the abomination that was suikoden 4. Yep, no skill system besides the support characters. Hmm, I see. To be honest, I don't really know how I feel abou that. I mean, now that I've been exposed to the skill system in S3, I really would have prefered to stick with it. Yes, I know S1 ans S2 worked fine without them, but back then we also had a six character party. With the party size hacked down to four, plus the absense of the skill system, it just makes it seem like the game won't have as much customization as the others. With the skill syatem, you could mold your characters into exactly what you wanted them to be (to an extent). Without it, it just seems like you don't really have much to do with your characters, just slap some armor and a rune on them and your done. But then again, what do I know? I haven't even played the game yet, so I really have no business judging it. I'm sure it will end up being a pretty fun game, despite some of its bad points. I have a mixed reaction to what I hear in the review. I'll probably start playing the game tonight, so I rea the review to get an idea of what to expect. I'm gald I did. There is much that will be well-missed. I'm super-duper-extatic to hear that battles are quick. This will be highly appreciated, since the long time to load/begin/fight/close battles in some games is what makes me hate them. I am not always a patient person. I noticed some of the mini-game descriptions in the guide-book, and it seemed like there were loads of them... I'm glad to hear some of them were fun/addictive. I was nervous that they all looked like card/poker games, which can get old if they aren't designed well. The characters, I can't really react to until I play. One person's oppinion of them can highloy differ from anothers, so I'll just wait until I start recruiting and see what I think from there. But it is neat to know there's a good variety in the recruits. All in all, thank you very much for putting such a nice, simple, but still detailed review up here! I'm so glad I get to start playing tonight with some idea of what to expect/not expect. may i ask how long it is compared to the previous games and how you would rank it plot-wise? So, there are battles in towns now. That's a big turn off for me (I don't really know why). Do battles occur in every town, or just a few? I agree, it does sound a bit strange. I wonder what the reason behind it was. I mean, if we fight in towns and our ship as well, where the heck dont we fight? Are there even any places that exist that have no enemy encounters? From your revie it seems that the game is going to be a dissapointment. Loss of atmosphere, bad story telling, less runes (WHY?!) and dumbed down charcter sutomization, are all bad signs. Random encounters in towns are just stupid. I will not judge the game without playing it, but i am much less anxious to play it. Agreed. If the storytelling falls apart, then the game is MUCH worse for it. The skill system along with most of the runes will be SORELY missed. Plus, encounters in TOWNS? WTF? There'd better be a reason, otherwise I'd like to know why the villagers don't notice MONSTERS in their streets. I dont think I am above women, I think I am above everyone. So the story is not as strong as the previous games? Is there a good feel of warfare in IV? cause if there is I would think that's a great thing. I see there are people that didn't like the story lines of I and II because it was too plain, but I thought it was just fine and the major battles that were fought although a bit short had a real feel of war, and that alone make suikoden great comparing to other rpgs, after all you are building an army. But in III it felt like there was very limited planning involved in the major battle and it didn't even feel like there was a war going on, which made the game felt like any other rpg where you wondered around and do stuff just because things happened.